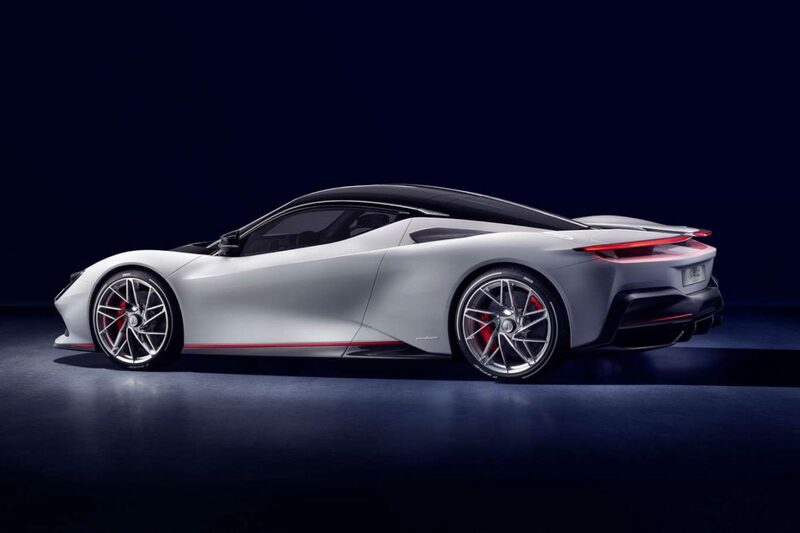 This is the stunning Pininfarina Battista, Pininfarina’s first road car in its 90-year history and one of the most powerful road cars the world has ever seen. 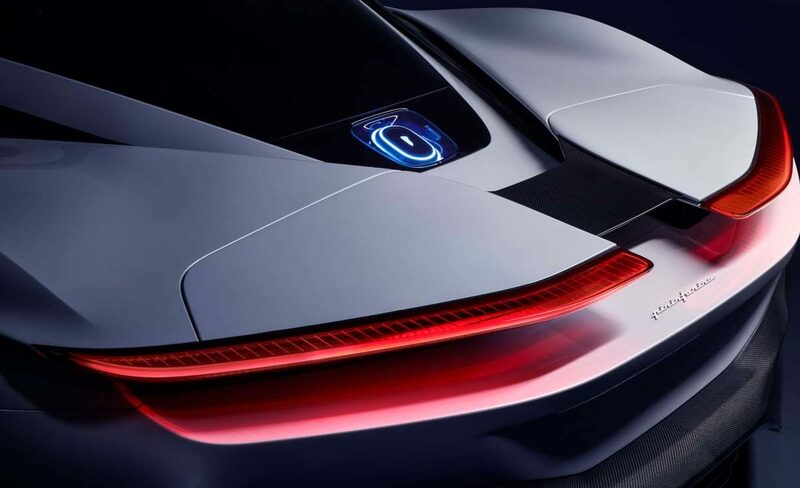 The Battista, hailed as “the world’s first luxury electric hyper performance GT”, will arrive on the roads in 2020. 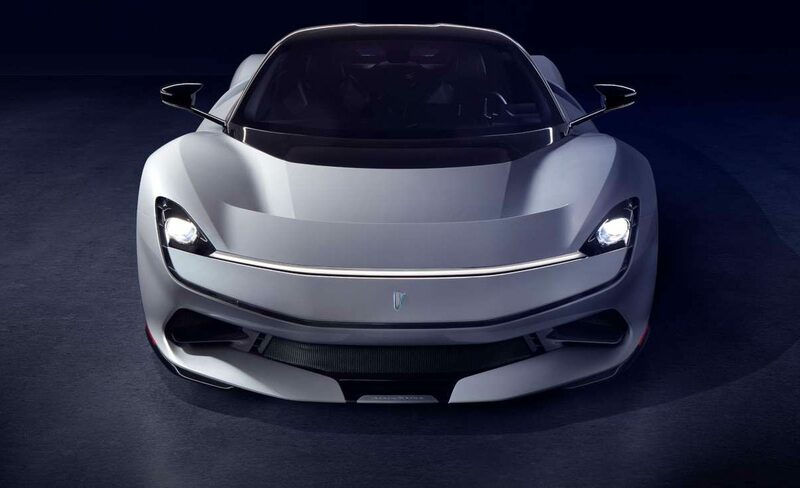 “Faster than a current Formula 1 race car,” Pininfarina says – that’s quite a claim. Built on a carbon-fibre monocoque, the Battista has a 120kWh T-shaped battery back and four electric motors, one for each wheel. The whole system produces 1,900 horsepower and 2,300Nm (1,702lb ft) of torque, meaning 0-62mph takes “less than two seconds” and 0-186mph in less than 12 seconds on its way to a top speed of 217mph. The range? 280 miles. Torque vectoring is going to play a massive part in how the Battista drives, not just to improve how the car performs but to help the traction and stability controls. All that performance would be fairly meaningless, though, without some serious engineering elsewhere. 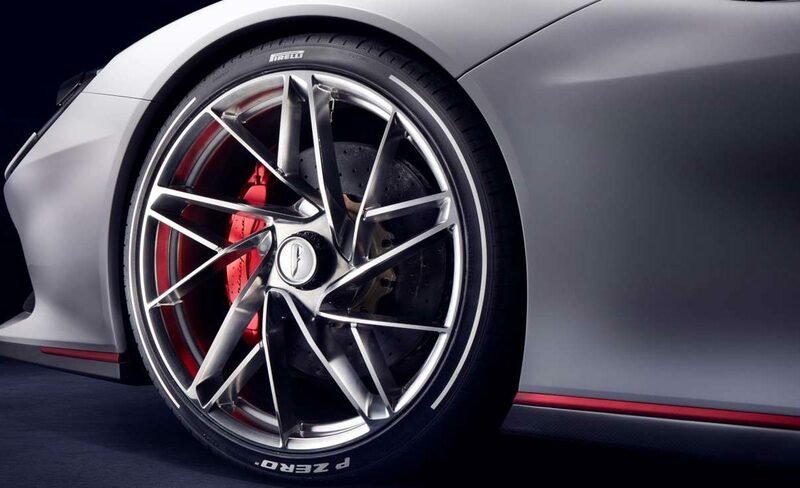 The Battista has five radiators to keep the motors, battery pack and electrical systems cool; there are 390mm carbon-ceramic disks up front and 380mm disks at the rear, with six-piston callipers all-round. An active rear wing with an air brake function works alongside the brakes to bring the car to a halt. 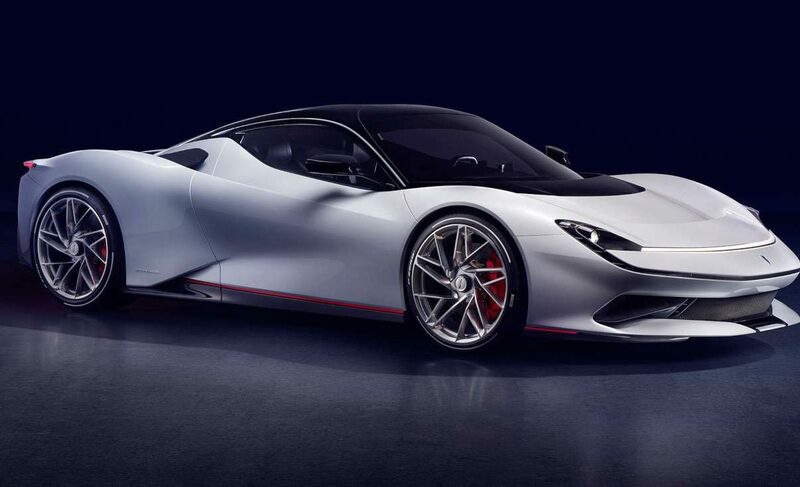 As for the suspension, Pininfarina has deferred giving details, saying only that that “suspension is tuned specifically to deliver a thrilling, engaging and yet comfortable dynamic experience.” You’d hope it would be comfortable, given the fact the Battista is described as a GT, but to do so whilst building a stable, controlled platform from which to transmit 1,900 horsepower to the road will be a big challenge. Technology aside, Pininfarina has done what it does best and created a truly beautiful machine. The Battista looks quite small and compact, and wonderfully clean for a car with such incredible performance; for once, it’s nice to see a very, very powerful car that isn’t about track performance or extreme aerodynamics. Is the Battista silent? Well, actually, no. Drivers can choose between the normal near-silent electric car experience or a ‘signature Battista sound’, a noise generated not just to warn pedestrians of the Battista’s approach, but to give the driver an “authentic electric hypercar noise”. Interesting. And how will it drive? Well, with your foot pinned to the floor one can only assume it will be other-worldly fast, but it should have a well sorted, too. Technical development has been headed up by Dr. Peter Tutzer, a man who worked his way through Porsche’s ranks to become Chief Engineer of Porsche’s race car programme before overseeing the chassis, layout and packaging of the Pagani Zonda, and then moving on to Bugatti to create the Veyron. Then there’s the company’s test driver Nick Heidfeld, a man with many F1, Le Mans and Formula E races under his belt, and of course the record for the fastest ascent of the hill at the Goodwood Festival of Speed presented by Mastercard.  “The Veyron targeted 1,000bhp in 2001 when 500bhp was a headline – we doubled the power – and the first question was how can we put 1,000bhp on the road,” said Tutzer. “It has taken nearly 20 years to double that figure again, and that huge gap is not down to a lack of technical ability in the engineering community, but is probably only possible with electrification. Only 150 Battistas will be built, all of which will be available through specialist partners across the world, managed through a central sales team based in Munich. There’s no word on price yet but, in all honesty, for those who love the Pininfarina name and have been waiting for this car for years or even decades, the price really won’t matter.